Outsource all your video work? TechPatio – 1 Year Old – Happy Birthday! 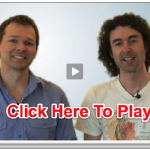 Yaro Starak’s Membership Site Mastermind Course NOW OPEN!